From a distance, you can see the tails of the jumbo jets stick out like a mirage in the desert. Many wonder what all those aircraft are doing just sitting there in Marana, Arizona. Most will tell you it's a boneyard or graveyard for old aircraft, and they'd be right, but there's more to the airpark than most know. 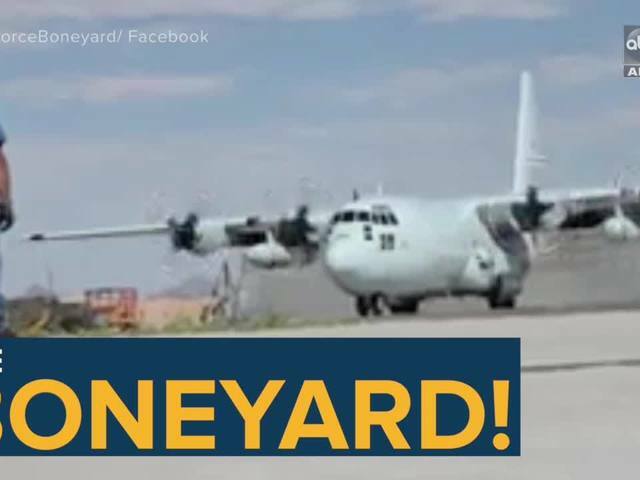 ABC15's John Trierweiler got to tour the facility that employs around 350 people and has the capacity for more than 400 aircraft on-site, specializing in aircraft storage, reclamation and heavy maintenance. In fact, not all aircraft that land in the desert have been retired; many will either get maintenance work done or just sit in storage waiting for their next flight. "In all likelihood, they will be returned to service, maybe not with an existing customer but with a customer, they'll transact the aircraft too,” said Dave Querio, President of Marana Aerospace Solutions, which operates Pinal Airpark. Planes constantly take off and land every day. Some of the largest aircraft in the world, like the fire-fighting 747 Global Super Tanker, receive maintenance and a well-deserved break as the aircraft is not in high demand for fighting wildfires in February. The airpark has a heavy focus on mid-sized passenger and cargo airlines, specializing in the Boeing 747, of which you'll see plenty of on the ground. They’re either being scrapped for parts, waiting in storage, or just stopping in for a repair or upgrade. So for those that call this the airplane graveyard? "Keep thinking that," Querio said. Many of these planes are ready to return to the sky.